ROME (AP) — The father of Italy’s labor and development minister apologized Monday for hiring workers off the books for his small construction firm but insisted his “errors” shouldn’t reflect badly on his son. A video posted Monday on the 5-Star Movement’s Facebook page featured Antonio Di Maio, at times choking up, acknowledging he had hired workers without contracts and saying his business couldn’t survive any other way. 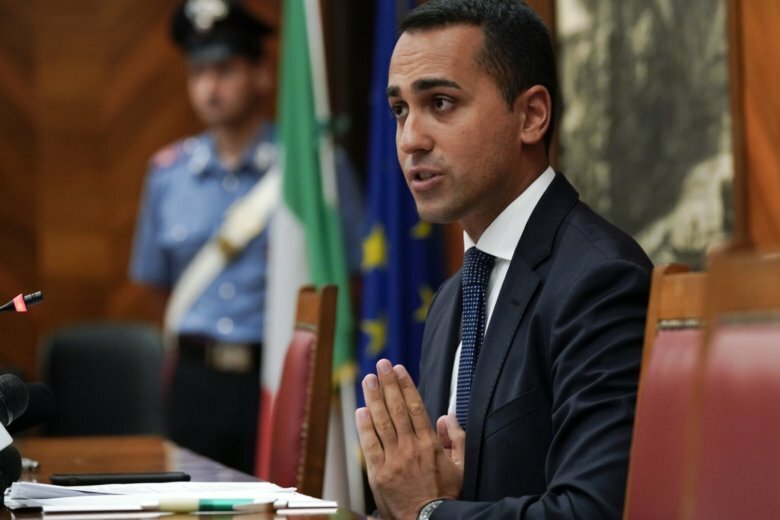 Di Maio’s son, Italian Deputy Premier Luigi Di Maio, leads the 5-Stars, an anti-establishment party that prides itself on the honesty and transparency of its public servants. The labor and tax scandal involving the elder Di Maio is problematic for his son since the campaign that brought the 5-Stars to power in June emphasized his family’s honest background and Luigi Di Maio’s support for the ordinary workers and small entrepreneurs who make up the backbone of Italy’s struggling economy. After initially saying he didn’t know details about the family business, Di Maio, who heads Italy’s labor and economic development ministries, inquired with his father and acknowledged problems. He has distanced himself from them and vowed full transparency. Police have also searched the family’s Naples-area homestead after Mediaset’s Le Iene investigative program, which broke the scandal, suggested some buildings there were unauthorized. In his video statement, Antonio Di Maio acknowledged past “errors” and apologized to his family and the workers he had cheated out of employment benefits. But he said his son never knew about his labor practices and shouldn’t be subject to what he called “ferocious and disproportionate attacks” from political opponents. Le Iene interviewed former workers who said they were paid in cash and when injured on the job prevented from filing for worker’s compensation since that would have exposed their irregular status. Despite the problems posed by the scandal, Luigi Di Maio is not alone among Italian politicians who have been tainted by the sins of their fathers. Former Premier Matteo Renzi was hobbled by a corruption investigation involving his father. One of Renzi’s ministers was accused of using her influence to help out the bank where her father was deputy chairman — a charge she denied. Both Renzi and the former minister, Maria Elena Boschi, have excoriated Di Maio for what they said was hypocrisy. The 5-Stars led the charge against them when their fathers were in the spotlight. “The 5-Stars created a villainous climate with personal attacks. And today, Di Maio’s family is victim of the same system,” Renzi said Monday in his weekly newsletter.